As the one and only Pooh Bear would say, Happy Windsday! ANYway, it's time to find a thoughtful spot to comtemplate this week's trivia photo! Somewhere in Walt Disney World you will get a sore neck staring up at this absolutely gorgeously ornate ceiling. Where might it be?? 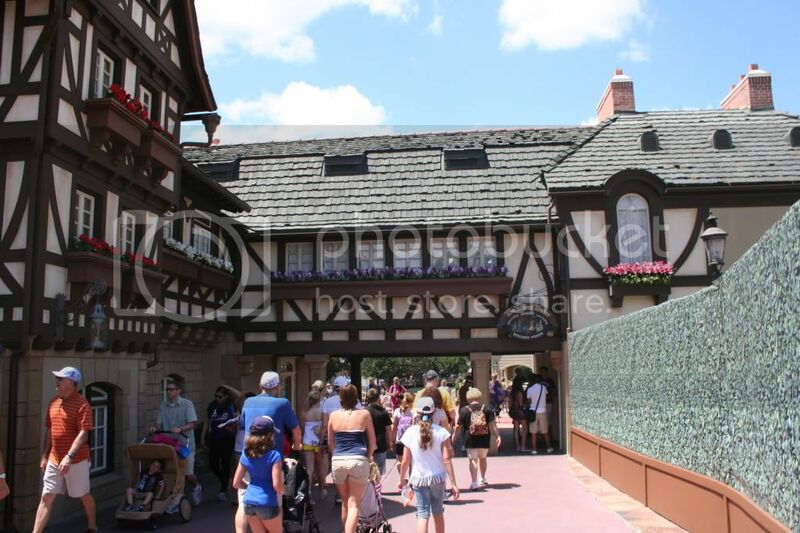 The lovely lilac-filled window box can indeed be found on your way from Fantasyland to Liberty Square. It is outside the windows of the second floor seating at Columbia Harbour House! 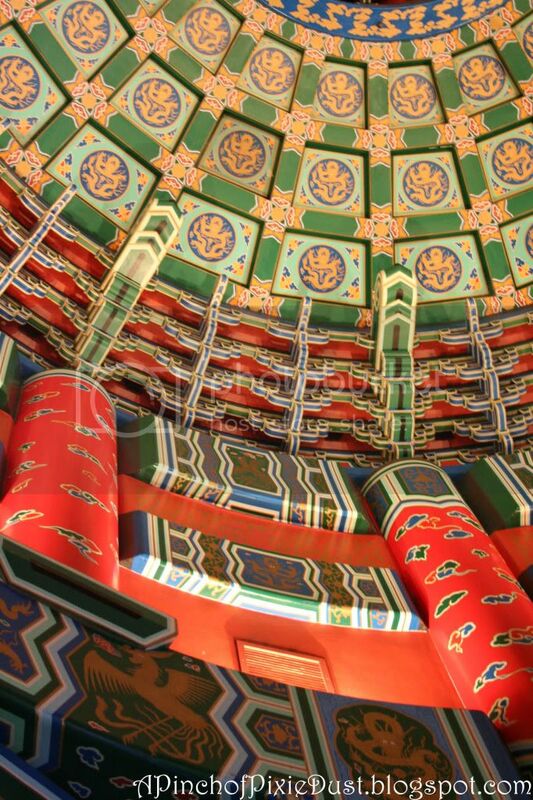 It's the Temple of Heaven in the China Pavilion! Have you ever tried that whispering thing due to it having perfect acoustics? I think I was doing the wrong thing, so I have to go back and try again! Great job guys, you've got it!